Chris Jericho is an American professional wrestler who was born in Manhasset, New York on November 9, 1970. WWE Monday Night Raw and Hollywood Game Night account for some of Chris Jericho's recent TV appearances. 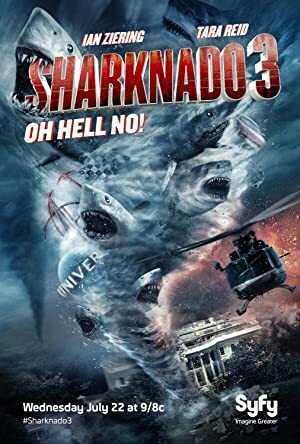 Chris Jericho's recent filmography includes the movies WWE: Straight Outta Dudleyville: The Legacy of the Dudley Boyz Part 1 (2016) and Sharknado 3: Oh Hell No! (2015). On Spotify, Chris Jericho has a relatively modest following with only about 1,800 followers and a popularity score of 23 out of 100 as of 2018. His most popular track on Spotify is "Don't You Wish You Were Me?" from the album WWE: Originals. Chris Jericho's Instagram account (@chrisjerichofozzy) has a reasonably sized audience with about 3.3 million followers. His recent posts to Instagram have gotten around 18,000 likes each. There are about 10 TV shows that have featured Chris Jericho as of 2018. Some of the most recent Chris Jericho TV appearances include WWE Monday Night Raw, Whose Line Is It Anyway?, and Hollywood Game Night. In 2017, Chris Jericho appeared on WWE Monday Night Raw. He performed on and appeared on Whose Line Is It Anyway? in 2016 and again in 2016 he appeared on Hollywood Game Night. 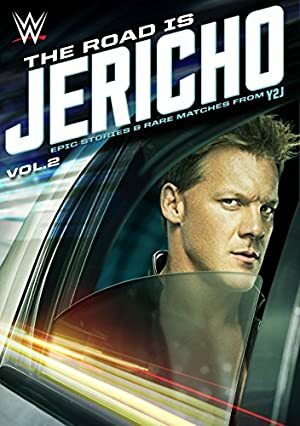 There are about 34 movies featuring Chris Jericho as of 2018. Some of the most recent Chris Jericho movies include WWE: Straight Outta Dudleyville: The Legacy of the Dudley Boyz Part 1, Sharknado 3: Oh Hell No!, and The Resurrection of Jake The Snake Roberts. WWE: Straight Outta Dudleyville: The Legacy of the Dudley Boyz Part 1 was released in 2016. Sharknado 3: Oh Hell No!, released in 2015, featured Chris Jericho as Bruce. The Resurrection of Jake The Snake Roberts was also released in 2015. As of 2018, Chris Jericho has 1,800 followers and a popularity score of 23 on Spotify. WWE: Originals, Numbers From The Beast: An All-Star Tribute To Iron Maiden, and Pure Fire - the Ultimate Kiss Tribute are some of the more popular Chris Jericho albums. Notable tracks from these albums include Don't You Wish You Were Me?, The Evil That Men Do, and King of the Night Time World. Don't You Wish You Were Me? has a popularity score of 20 out of 100, making it Chris Jericho's most popular track. The Evil That Men Do and King of the Night Time World have popularity scores of 14 and 8, respectively. The Spotify popularity score is on a scale from 0 to 100 and reflects the number of times the song has been played and how recently it has been played. Chris Jericho Instagram: We got the big 4-3 win yesterday in Floor Hockey!! It was @itzcheyenneirvine’s FIRST victory between the pipes... and the coaching was immaculate too 😝! Plus @sierrairvine_ is making some huge gains on the softball field...so proud of my girls! chrisjerichofozzy We got the big 4-3 win yesterday in Floor Hockey!! It was @itzcheyenneirvine’s FIRST victory between the pipes... and the coaching was immaculate too 😝! Plus @sierrairvine_ is making some huge gains on the softball field...so proud of my girls! Chris Jericho Instagram: Fun chat with the charismatic #JuiceRobinson on #TalkIsJericho NOW! Juice talks about the moment he realized he needed an exit from @wwenxt, why he hated his hippie gimmick & sitting on the proverbial bench, the death of his old character #CJParker (and #JuiceMalibu), how he pissed off #WilliamRegal, why he liked working with @dalipsinghcwe in #NXT, how he ended up in Japan, why he wanted to shave his head and live in the @njpw1972 dojo, breaking #KevinOwens nose, getting his big break teaming w @hiroshi_tanahashi, his thoughts on strange Japanese food, why he would rather work in UK Holiday camps than return to @wwe, why he’s not on social media and more on @spotify, @itunes and @applepodcasts NOW! chrisjerichofozzy Fun chat with the charismatic #JuiceRobinson on #TalkIsJericho NOW! Juice talks about the moment he realized he needed an exit from @wwenxt, why he hated his hippie gimmick & sitting on the proverbial bench, the death of his old character #CJParker (and #JuiceMalibu), how he pissed off #WilliamRegal, why he liked working with @dalipsinghcwe in #NXT, how he ended up in Japan, why he wanted to shave his head and live in the @njpw1972 dojo, breaking #KevinOwens nose, getting his big break teaming w @hiroshi_tanahashi, his thoughts on strange Japanese food, why he would rather work in UK Holiday camps than return to @wwe, why he’s not on social media and more on @spotify, @itunes and @applepodcasts NOW!